Will Packer is better known as a comedy producer for films like “Ride Along” and “Girls Trip,” but he’s always been haunted by the forgotten case of 29 dead black children in Atlanta over 23 months 40 years ago. 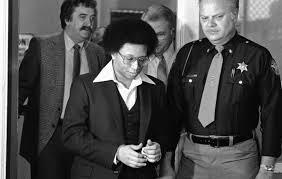 He revisits the case in the three part “The Atlanta Child Murders” (Investigation Discovery, 8 p.m.), which shows all three parts in one evening. It’s already had an effect in making the city reopen the case. DJ Khaled braves the slime and hosts the 32nd annual Kids’ Choice Awards (Nickelodeon, 8 p.m.) from the Galen Center in Los Angeles. Among the nominees in movies and music, the TV nominees for favorite funny show, for example, are “The Big Bang Theory,” “Bunk’d,” “Fuller House,” “Modern Family,” “Raven’s Home” and Nickelodeon’s own “Henry Danger” (Nickelodeon, 7:30 and 9:36 p.m.) which precedes and follows the show with a new episode. Fran Drescher hosts a night of comedy from “Funny Women of a Certain Age” (Showtime, 8 p.m.), including Carole Montgomery, Luenell, Lynne Koplitz, Kerri Louise and Vanessa Hollingshead. It may be prettier than March Madness: The World Figure Skating Championships (NBC, 8 p.m.), which gets a prime time slot from Saitama, Japan. Last year’s big shark movie “The Meg” (HBO, 8 p.m.) with Jason Statham, Ruby Rose and Rainn Wilson, makes its premium cable premiere, as does “Alpha” (Starz, 8 p.m.) about a young prehistoric man who befriends a wolf. “Alaskan Bush People” (Discovery, 9 p.m.) defend their livestock. Banned last week for anti-Islamic comments “Justice with Judge Jeanine” (Fox News, 9 p.m.) is back on the schedule. In the made-for-TV “Love to the Rescue” (Hallmark, 8 p.m.), Nikki DeLoach plays an animator whose daughter is set on adopting a dog, except that another single parent (Michael Rady) wants it too. I’m sure romance plays in there somehow too. A woman who gave up her daughter for adoption as a teen, is reunited with her as an adult, only to find she’s a sociopath on “A Daughter’s Deception” (Lifetime, 8 p.m.). Jade harlow, Rusty Joiner and Kennedy tucker star. The story of sniper Chris Kyle gets more than three hours on “American Sniper” (History, 8 p.m.). “Trading Spaces” (TLC, 7 p.m.) helps out some ladies with designs. Two husbands try to surprise their wives on “While You Were Out” (TLC, 8 p.m.). A young man seeks his family’s blessing for his wedding on “Family or Fiancé” (OWN, 10 p.m.). Turner Classic Movies has a couple of films written by Herman Raucher, “Summer of ’42” (8 p.m.) and “Sweet November” (10 p.m.). The noir at 12 o’clock is “Lady in the Lake” (midnight). Then comes two films with Anita Ekberg, “Back from Eternity” (2 a.m.) and “The Alphabet Murders” (4 a.m.). Second round games in the NCAA Men’s basketball tournament have Maryland vs. LSU (CBS, 12:10 p.m.), Wofford vs. Kentucky (CBS, 2:40 p.m.), Florida vs. Michigan (CBS, 5:15 p.m.), Murray State vs. Florida State (TNT, 6:10 p.m.), Baylor vs. Gonzaga (TBS, 7:10 p.m.), Minnesota vs. Michigan State (CBS, 7:45 p.m.), Villanova vs. Purdue (TNT, 8:40 p.m.) and Auburn vs. Kansas (TBS, 9:40 p.m.). ESPN is trying to cover the women’s tournament by switching back and forth to different games that may or may not include Maine vs. N.C. State (ESPN2, 1 p.m.), Little Rock vs. Gonzaga (ESPN2, 3:30 p.m.) and Abilene Christin vs. Baylor (ESPN2, 5:30 p.m.). Pro basketball has Philadelphia at Atlanta (NBA, 7:30 p.m.) and Detroit at Portland (NBA, 10 p.m.). Hockey has Islanders at Philadelphia (NHL, 1 p.m.) and Rangers at Toronto (NHL, 7 p.m.). Spring baseball has Toronto vs. Yankees (MLB, 1 p.m.) and Cubs vs. Colorado (MLB, 9:30 p.m.). There is third round play in the PGA’s Valspar Championship (Golf, 1 p.m.; NBC, 3 p.m.). NASCAR runs its Alpha Energy Solutions 250 (Fox, 2 p.m.). Alliance of American Football games include Orlando at Atlanta (TNT, 2 p.m.) and Salt Lake at San Antonio (NFL, 8 p.m.). Men’s college lacrosse has North Carolina at Maryland (ESPNU, 4 p.m.). Women’s college gymnastics include the Big 12 Championships (ESPNU, 2 p.m.). College wrestling has its NCAA championships (ESPNU, 11 a.m.; ESPN, 7 p.m.). Women’s college swimming and diving has its NCAA championships (ESPNU, 6 p.m.) as well. College softball includes Washington at Oregon (ESPN, 4 p.m.). College baseball has Texas at TCU (ESPNU, 8:30 p.m.). Norah Jones and Angel Olsen play a 2017 “Austin City Limits” (PBS, 11 p.m.). Halsey hosts and performs in a rerun from last month on “Saturday Night Live” (NBC, 11:30 p.m.).